Just west of the railroad station were two very large water tanks that held over 1 million gallons of water. They were owned by the Southern Pacific Railraod and were used to supply water to the many steam engines pulling trains through Maricopa. The tanks also supplied all the water for the homes in Maricopa. The engines burned oil, which heated the water to create steam. The oil supply was located at Tucson and Yuma. 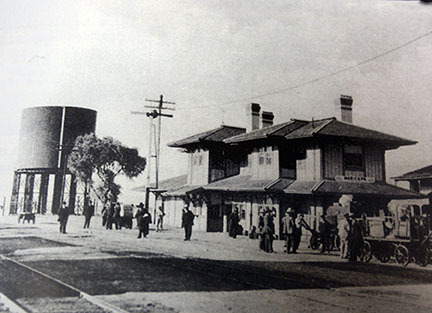 The trains had to take on water at several stations between the two places. Maricopa was one of the water stops. The pump did not need to run all the time. It was mainly operated from 6 p.m. until 6 a.m. daily so the citizens of Maricopa could have electric power for lights, radios, etc. 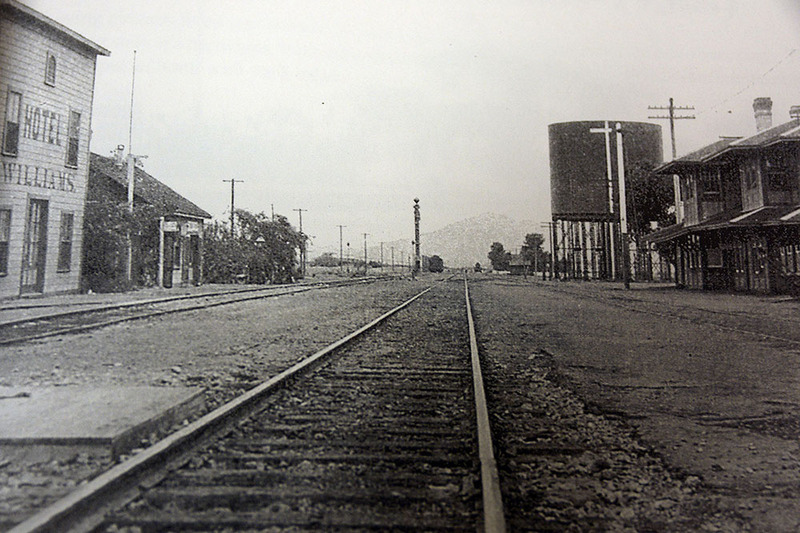 This engine was the only source of electricity in Maricopa, and when Charley was late getting to work, it caused people to miss their radio programs. At those times, Charley was not very popular. 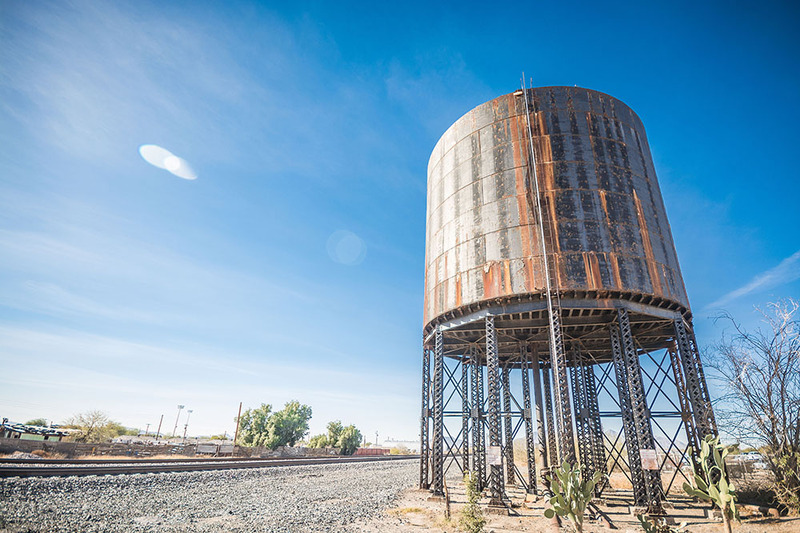 The first water tank was a tower made of steel installed in the 1890s. 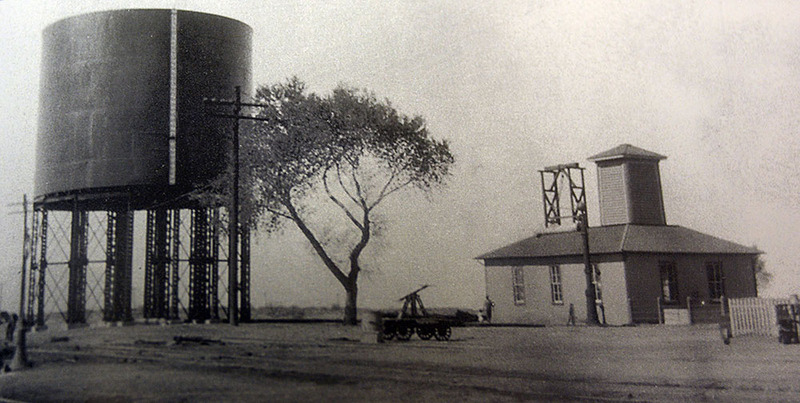 Southern Pacific provided water to the school in 1935; it may have installed the wooden water tank next to schoolhouse. A small water tank stood at the southwest corner of the schoolyard. Railroad employees pumped water from the tank to fill engines for driving trains.